Most of the residents were sleeping at the time the fire broke out in the early hours of this morning. "We have confirmed with hospital authorities, the toll is now 17 including a child," a senior fire brigade official, told AFP. 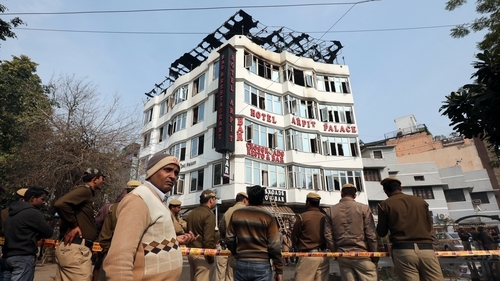 Delhi fire services director said the blaze had been brought under control and that 35 people were rescued by firefighters in an operation lasting several hours involving at least 25 fire engines. "Buildings can only be constructed up to four floors in Delhi," Delhi's home minister told NDTV.